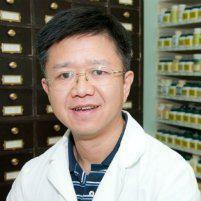 Dr. Zhou is a licensed acupuncturist and herbalist, serving Austin, Texas and the surrounding area. He has over 28 years of experience practicing in the US and a doctorate in Traditional Chinese Medicine. He understands the complexity of back problems and their relationship to the flow of qi. Scroll down to read more. In most cases, back pain is considered to be caused by stagnant qi and blood, which is expressed as inflammation. In other cases, back pain can be attributed to muscle problems or aging. Acupuncture can promote or balance the flow of qi and blood and reduce inflammation. It can also strengthen the muscle, ligaments, and bones. It not only reduces and relieves the pain but treats the cause of pain. Acupuncture works to heal the back and causes of the pain, not as temporary relief. Is There Any Risk to Apply Acupuncture for Back Pain ? Those who are pregnant or have any special health concerns should consult with Dr. Zhou and their physician prior to beginning acupuncture. Dr. Zhou has experience treating patients with a variety of conditions, especially women's health and fertility. For the vast majority of people, there are very little or no risks associated with the procedure. The causes of lower back pain fall into four major categories: injuries or trauma, tumors, degeneration, and congenital problems. Injuries can occur from overuse or lifting incorrectly, or from outside trauma like a car accident. Tumors can grow inside the spine or muscles of the lower back. Degeneration occurs from wear and tear, either through overuse or as part of the aging process. Congenital problems include conditions like scoliosis, in which the spine is twisted. Almost everyone experiences lower back pain at some point in their lives. Back pain is more common during pregnancy and as people age. Overuse or incorrect use of muscles can also cause inflammation and muscle soreness. Being overweight or obese increases the risk of back pain, especially if the abdominal muscles are weak. Even children can develop back pain from heavy backpacks. Should I Worry About Lower Back Pain? After a weekend of heavy work or sports, some lower back soreness is not uncommon. Back pain is especially likely in people who use poor body mechanics. Pain that doesn't go away after a few days, however, or is accompanied by numbness or weakness in the legs, should receive prompt attention. Where Are Pressure Points for the Back? Many acupuncture points for back pain are in the local area. For instance, those with lower back pain may benefit from stimulation to the paraspinal muscles located slightly above the hip bones, which are known as the 3rd lumbar spinal vertebrae. Additionally, applying needles to these areas has the potential to help those who have pinched nerves or sciatic pain, which oftentimes causes shooting pain and numbness in the legs. Other points of focus for lower back pain are the pressure points around the hips. They are located a few inches laterally from the tail bone. These points help with sciatica and pain in the pelvic region and hips. There are also many distal points, which locate in the arms, legs ears and on the scalp.